PG school of Ayurveda at Desh Bhagat Ayurvedic College and Hospital organized an award distribution function to honour its meritorious students of BAMS (Final) class. The event was organised by DBACH and University Faculty of Ayurveda & Research in collaboration with the Himalaya Drug Company, Bengaluru. 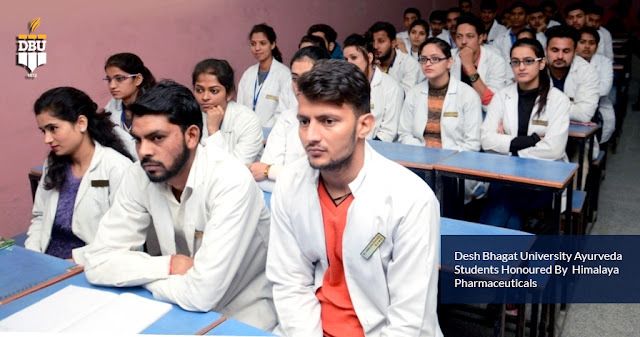 The Ayurvedic College at the University is among the best BAMS colleges in Punjab, Chandigarh. DBU Chancellor Dr. Zora Singh presided over the event. Speaking on the occasion he stated that Ayurveda is our country’s health system which has changed the life of many all over the world with no side effects. Ayurveda combines the Sanskrit words Ayur (life) and Veda (Science or knowledge). Thus, Ayurveda means ‘the science of life’. 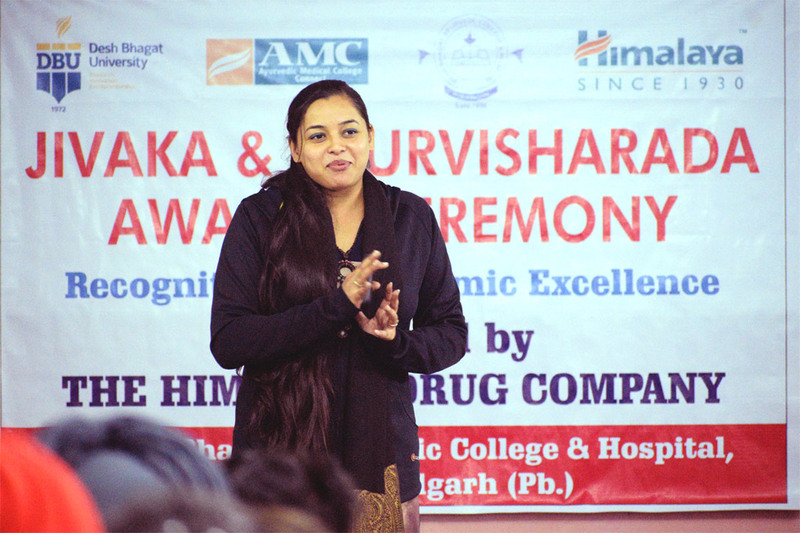 He encouraged the students to promote Ayurveda System to the maximum for the better and healthier life of the society. 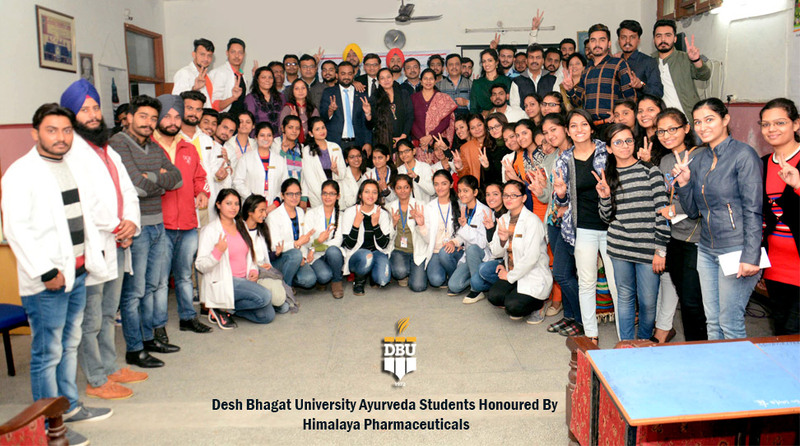 The team of Himalaya Drug Company consisting of Dr. Mehak (Manager, Scientific Services) Mr. Mohit Arora (Regional Manager) and Mr. Bhushan Bhalla (Pharma Sales officer) informed that the company honours every year to the toppers of BAMS final year for recognizing their academic excellence with the awards. This is a part of Ayurvedic Medical College Connect (AMCC) programme started by the company, they added. 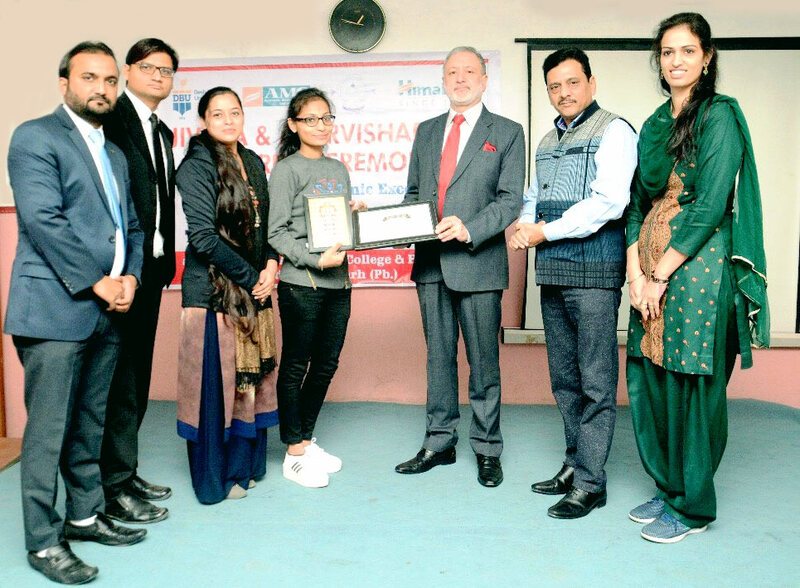 Award with Rs.15,000 cash while Neetu Sohal and Sanamika Gupta both got Second position were honoured with Ayur Visharada Award and Rs. 10,000 cash prize along with certificates. 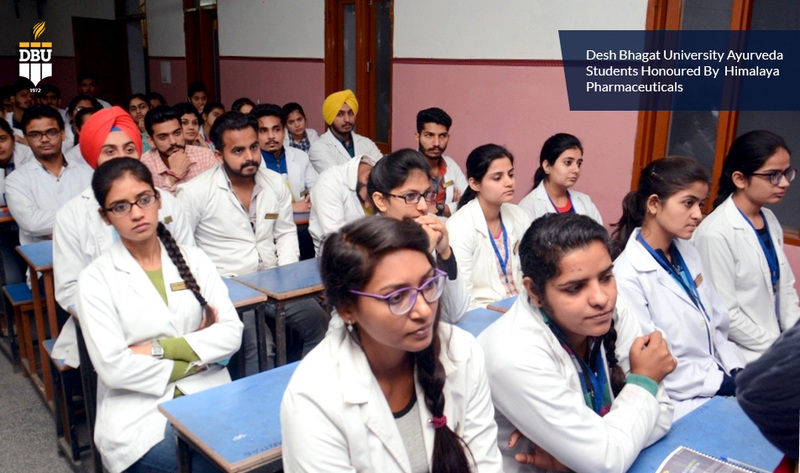 A Scientific session was also conducted by Dr. Mehak wherein students interacted with representatives of the company and sought their queries. 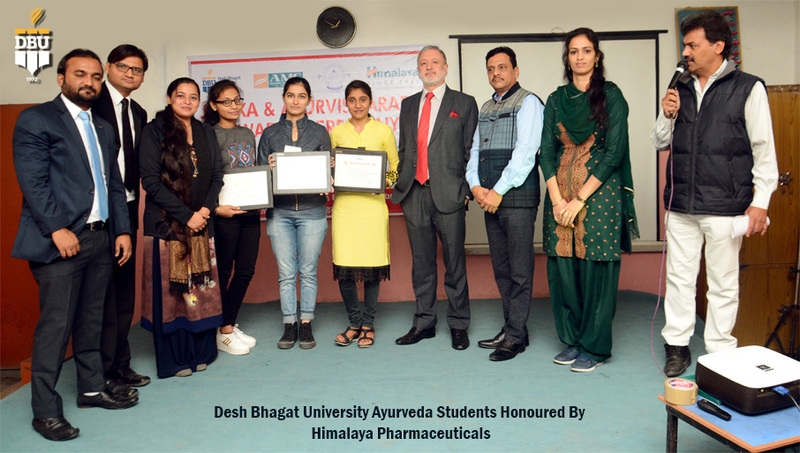 Vice Chancellor Dr. Virinder Singh appreciated the Himalaya Drug Company for its generous contribution to the development of Ayurveda. He also talked about the long healthy relationship of the institute with the company. Faculty members thanked all the officials of the company. 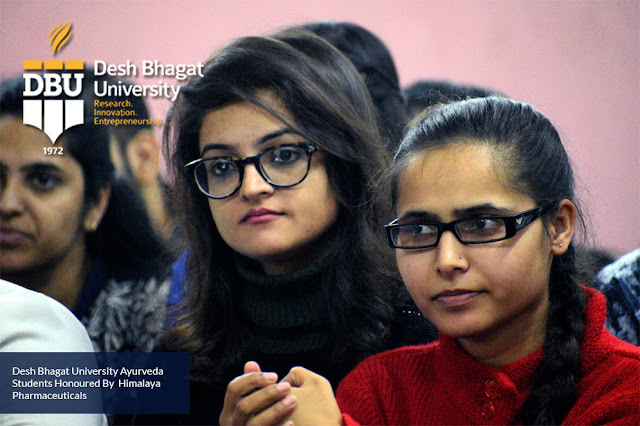 Dr. Amitabh Singh (HoD, Kaya-Chikitsa), Dr. Rimpaljeet Kaur (Academic Coordinator), staff members and a large numbers of students were present on the occasion.